The Resilient Christian : Get Out! Get Out! 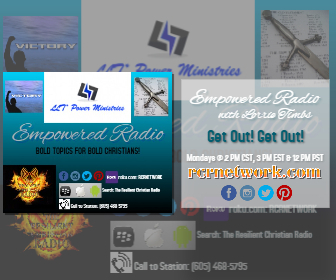 We will be on the air today with our host Minister Lorrie Timbs from "Empowered Radio". The topic will be “Get Out! Get Out!"